Maybe they come for the orange juice. Or the player autographs. Perhaps it’s the Detroit Tigers tote bags, presented by Visit Central Florida. Or the chance to finally meet Paws. 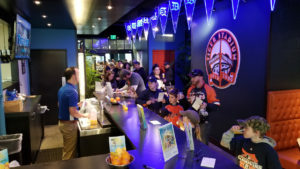 A sell-out crowd is expected for the annual TigerFest, held at Comerica Park in Detroit, Mich., on Saturday, Jan. 26, and sponsored by Visit Central Florida. Once again, representatives from Visit Central Florida will be stationed in The Corner Tap Room, located near Gate A, in section 115, between Columbia and Elizabeth streets. There fans will find Florida orange juice, fresh from Ridge Island Groves in Haines City, sponge baseballs perfect for young hands to autograph, a photo booth complete with a green screen so visitors can place themselves in a Florida setting, and the ever popular, realistic gator model that so many photos are taken in front of. 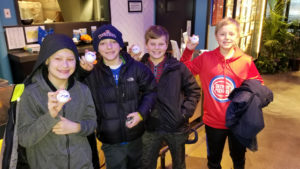 TigerFest is the official fan fest for the Tigers and the final stop of the team’s annual winter caravan that stops at nearly 30 different locations around the Michigan area. Traveling along with that bus is the Visit Central Florida logo, prominently displayed on its side, as Visit Central Florida is the title sponsor of both the caravan and TigerFest.